Turbo code origin: gt2056v, gta2052gvk. Original number: 68037207aa, 68019589aa, a6420901480, a6420900280, a6420901180, 6420900780, 05179566ab, a6420905980, 6420901480, 6420900280, 6420905980, 6420904980, 6420903080, a6420906980, 6420906980, a6420906180, 6420906180, a6420900180, 6420900180, a6420901580, 6420901580, a6420901980, 6420901980 , a6420904880, 6420904880, a6420900680, 6420900680, a6420902880, 6420902880. Vehicle make: chrysler, jeep, mercedes benz. Vehicle Model: (chrysler) 300c phase 2, (jeep) grand cherokee, (mercedes benz) c320 (t203) phase 2, (mercedes benz) c320 (w203) phase 2, (mercedes benz) clk320 (209), (mercedes benzyl) 320 (219), (mercedes benz), 320 (219) phase 2, (mercedes benz) e280 (211) phase 2, (mercedes benz) e280 (t211), (mercedes benz) e280 (w211), ( mercedes benz) e300 (211) phase 2, (mercedes benz) e320 (211) phase 2, (mercedes benz) gl320 (164), (mercedes benz) ml280 (164), (mercedes benz) ml320 (164), (mercedes benz) r280 (w251), (mercedes benz) r280 l (w251), (mercedes benz) r320 (w251), (mercedes benz) r320 l (w251), (mercedes benz) sprinter 2 (218), (mercedes benz) sprinter 2 (318), (mercedes benz) sprinter 2 (518), (mercedes benz) vito 120 (639). 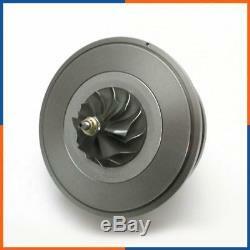 Cylinder capacity: 2.9 cdi v6, 3.0 cdi v6, 3.0 cd v6. Power: 184, 190, 190 224, 204, 218, 224. Chrysler 300c phase 2 3.0 crd v6 218 from 2007. Jeep grand cherokee 3.0 crd v6 218 from 2005. Mercedes Benz c320 (t203) phase 2 3.0 cdi v6 224 from 2004. Mercedes Benz c320 (w203) phase 2 3.0 cdi v6 224 from 2004. Mercedes Benz clk320 (209) 3.0 cdi v6 224 from 2002. Mercedes Benz cs 320 (219) 3.0 cdi v6 224 from 2004. Mercedes benz cs 320 (219) phase 2 3.0 cdi v6 224 from 2008. Mercedes benz e280 (211) phase 2 3.0 cdi v6 190,224 from 2006. Mercedes Benz e280 (t211) 3.0 cdi v6 190,224 from 2002. Mercedes Benz e280 (w211) 3.0 cdi v6 190 224 from 2002. Mercedes Benz e300 (211) phase 2 3.0 cdi v6 190 from 2006. Mercedes benz e320 (211) phase 2 3.0 cdi v6 224 from 2006. Mercedes Benz gl320 (164) 3.0 cdi v6 224 from 2006. Mercedes Benz ml280 (164) 2.9 cdi v6 190 from 2005. Mercedes Benz ml280 (164) 3.0 cdi v6 190 from 2008. Mercedes Benz ml320 (164) 2.9 cdi v6 224 apart ir 2005 Mercedes Benz ml320 (164) 3.0 cdi v6 224 from 2008. Mercedes Benz r280 (w251) 3.0 cdi v6 190 224 from 2005. Mercedes Benz r280 l (w251) 3.0 cdi v6 190 from 2005 Mercedes benz r320 (w251) 3.0 cdi v6 224 from 2005. Mercedes benz r320 l (w251) 3.0 cdi v6 224 from 2005. Mercedes Benz sprinter 2 (218) 3.0 cdi v6 184 from 2006. Mercedes Benz sprinter 2 (318) 3.0 cdi v6 184 from 2006. Mercedes Benz Sprinter 2 (518) 3.0 cdi v6 184 from 2006. Mercedes Benz Vito 120 (639) 3.0 cdi v6 204 from 2003. 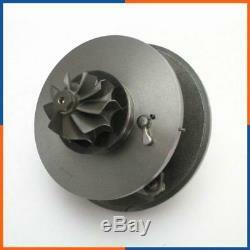 The item " turbo chra 765155-0004 jeep large cherokee iii 3.0 crd160 cv cartridge "is on sale since Monday, December 15, 2014. 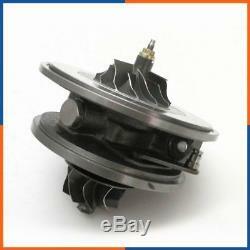 It is in the category" auto, motorcycle parts, accessories \ auto \ spare parts \ turbos, superchargers \ turbos ". The seller is "depotop" and is located in romainville. This item can be shipped to the following country: France.